Being small and liking dense sub tropical habitats such as the rainforest edge and lush gardens, it is difficult to see. It takes insects on the wing as well as in the foliage and on the ground. Best identified by their soft trill being one of the characteristic songs of the rainforest during summer. The local race has considerable rufous colouring as depicted by this individual. Breeding takes place September-February. Typical of cuckoos, it lays its single egg in another bird’s nest, usually the domed nests of a gerygone. 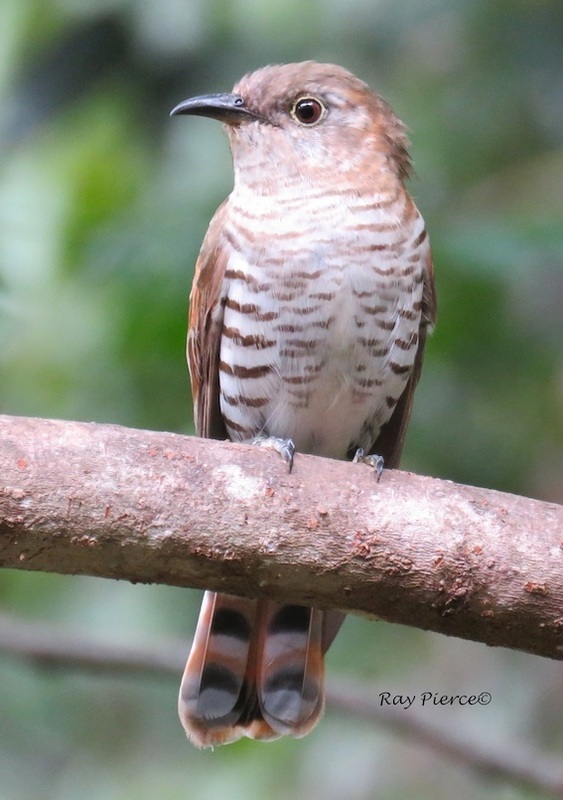 The cuckoo usually hatches first and ejects host eggs or hatchlings.